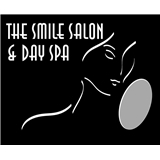 The Smile Salon & Day Spa (Kansas City) - Book Appointment Online! Cosmetic and Family Dentistry including Invisalign®, Sleep Apnea, Implants, Cerec Same Day Restorations, NTI Treatment and Underarmour Performance Mouth wear in Kansas City, Missouri. Our dental team is knowledgeable in all areas of dentistry including cosmetic dentistry and orthodontics for the entire family. For your overall health and a higher quality of life, we will provide you with the exceptional care that you deserve. Dr. Doakes is an exceptionally gifted dentist and kind person. I pretty much have the worst set of teeth in the world (my mother was a drug user during her pregnancy with me) so I have almost no enamel, massive gum recession and crowns on nearly all of my front and back teeth. Despite all of that, Dr. Doakes treats me with kindness and respect as if I had a perfect set of beautiful, strong teeth.